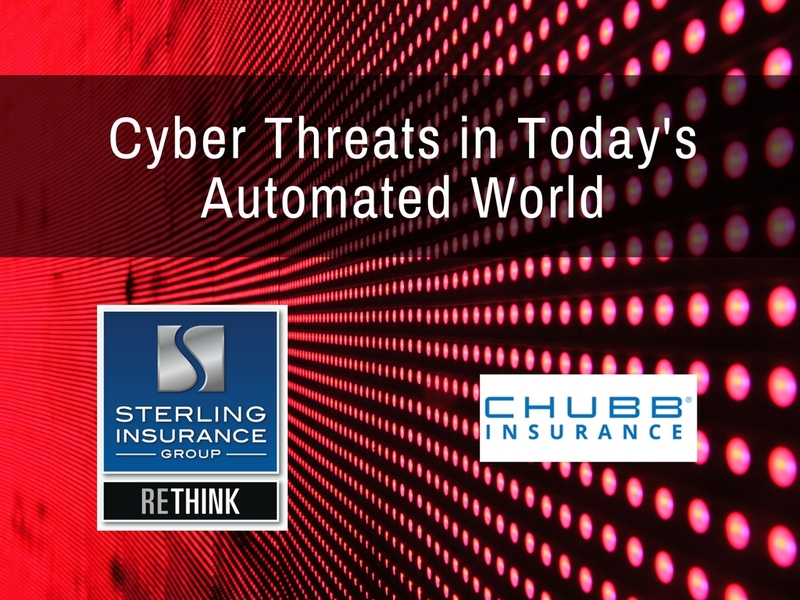 STERLING HEIGHTS, Mich. – Sterling Insurance Group will host a Tech Takeover with Chubb Insurance on April 11th covering Cyber Threats in Today’s Automated World. Guests will learn about the best practices available to companies looking to mitigate today’s unique threats in the cyber world and discover new and emerging coverage options you should consider for your business. The event will be a discussion on the importance of cyber insurance in today’s automated world and how it can protect businesses in the event of a data breach. Leading the discussion are Brandon Horrocks, Senior Vice President and Certified Risk Architect at Sterling Insurance Group; and Chris Cravens, Assistant Vice President of Technology Insurance at Chubb Insurance. Using their combined experience in the fields of robotics, tech and commercial insurance, Horrocks and Cravens will give attendees a thorough look into today’s uncharted waters of ever-evolving cyber risk. All are welcome to join – however – this event is intended for individuals in: aerospace, architectural services, automotive, technology and manufacturing, robotics and automation, precision machining, banking institutions, construction, electronic and control systems and HR/employee benefits. Fees/Admission: Members: $10; Non-Members: $20; Use promocode TAKEOVER18 to attend this event for free. Since its inception in 1996, Sterling has been one of the fastest growing independent insurance agencies in the country. Sterling Insurance Group – which is a Top 200 Firm out of 37,000 nationwide – is your resource for Outsourced Risk Management, Commercial Insurance, Personal Lines Insurance and Employee Benefits. Located in Sterling Heights, Michigan, Sterling Insurance Group has relationships with more than 50 national insurance carriers to provide clients instant access to the most competitive insurance markets in the business. Sterling has been honored to receive distinguished awards for our sales leadership and customer service. The Detroit Free Press has named Sterling one of the Top Work Places from 2012-2016 and was voted a Crain’s Detroit Cool Place to Work by its employees in 2017.